« Shoveling. Forming. And a septic tank. Well, we have panels. Cool stuff, but a couple of little challenges. Of course. Nothing to be too worried about though. Here’s what’s happening, in 10 somewhat sarcastic steps. 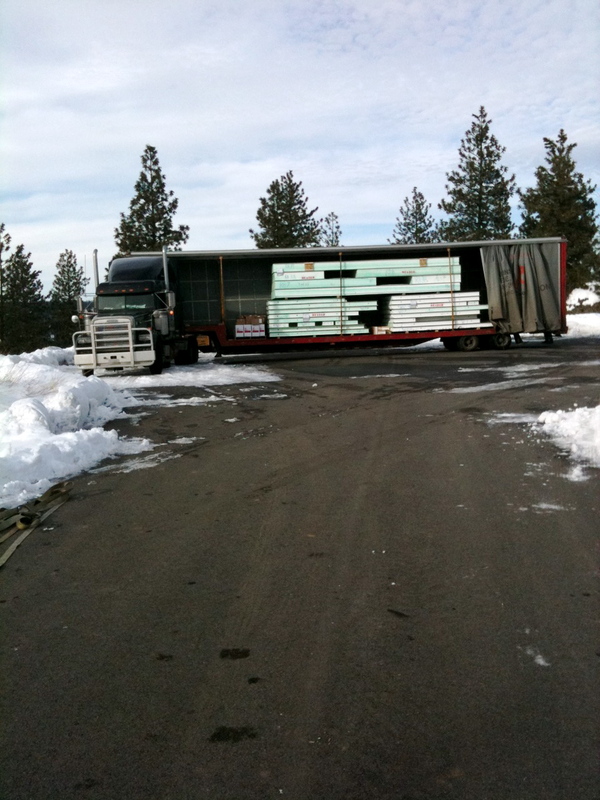 The SIPs company loaded panels onto a truck in Montana, at their factory. Like you might expect, they organize the panels in a way that let them get as many panels as possible into said truck to avoid making more trips than necessary. 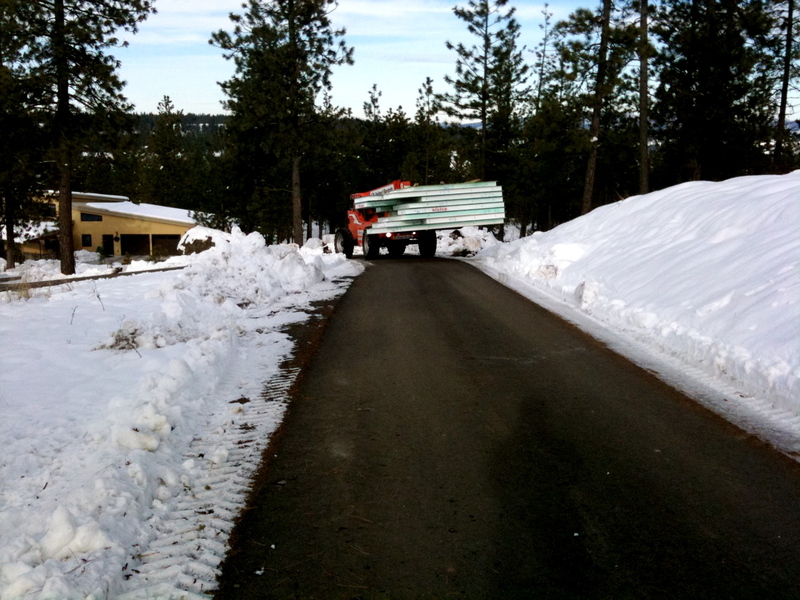 The semi shows up at our site, and our framing crew uses a forklift to meander down our windy, icy driveway, to our long, icy foundation. The framing crew unloads the panels. The framing crew realizes the panels aren’t organized by, say, the way they need to be assembled. So for example, panel number one might be at the bottom of a stack of 10 (100+ pound) panels, number two in the middle of the stack and number 3 at the top. 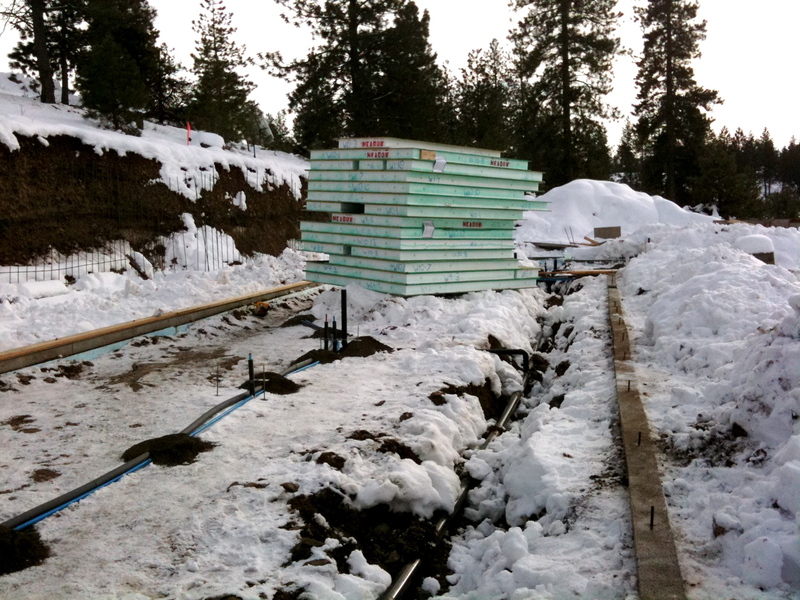 The framing crew looks around and sees piles of snow and ice everywhere. (Not good–there’s no place to reorganize the panels. The framing crew gets frustrated. The on site SIP rep gets frustrated. The builder calls the homeowner, who luckily ate zen pills for breakfast. All exaggerating aside–and the top-10 list had plenty of exaggeration–it’s a small hurdle. Everything is fine, just a bit of reorganizing to do. I guess. It’s just a crappy winter we’re navigating. If this is the biggest challenge in assembling the house, we’re in darn good shape. Can’t wait to see the house take shape. Should be fantastic, and I expect there will be a ton more progress tomorrow.